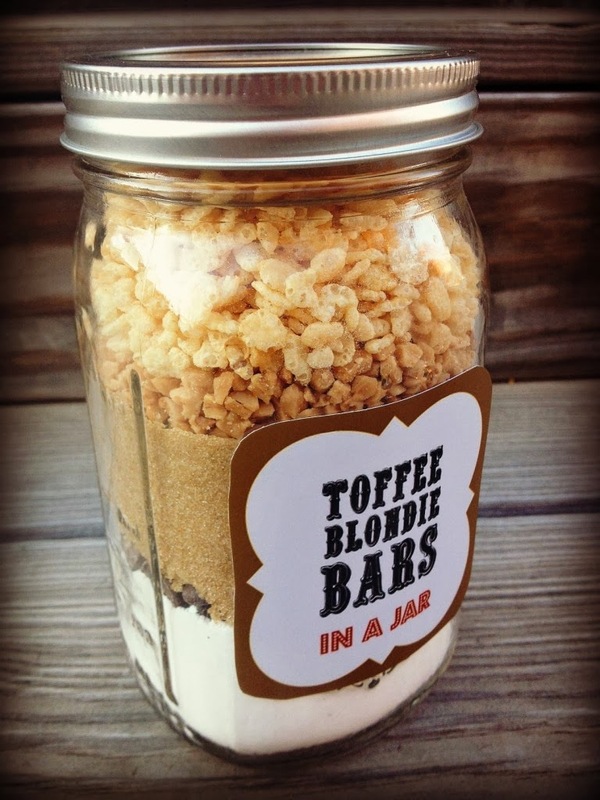 This was the other Gift in a Jar that we really loved, and made several times. We found this website with 5 different recipes in a jar, we only made this one, but the other ones look really great also. This site also has the printable recipe, jar label, ingredient list, and instructions. They are chewy, and delicious! We cut a circle of bright colored material and tied it around the neck of the bottle with Raffia..... they looked really pretty!